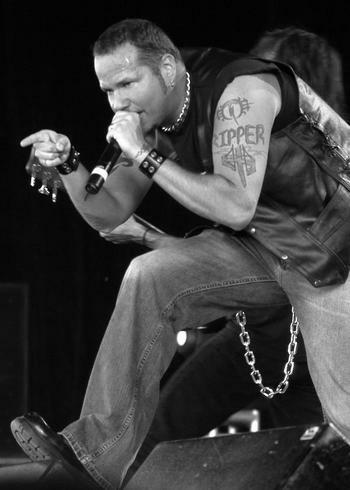 Tim ‘Ripper’ Owens has proven to be of metal’s most sought after singers since his departure from Judas Priest. While some have called him a Rob Halford ‘clone’, he has proven to be much more versatile than that by working with Iced Earth, Yngwie Malmsteen and Beyond Fear, appearing on several tribute albums and now releasing his first solo album Play My Game. Recently, Sleaze Roxx had the chance to speak with Tim about the new album, playing in Yngwie’s band and his current relationship with Iced Earth’s Jon Schaffer. Sleaze Roxx: How long did the writing process for Play My Game last? How about recording, how long did that take? Tim ‘Ripper’ Owens: Well, that’s a hard question to answer because I already had some of the songs written by the time I decided to go the solo direction. Some songs were already there when Iced Earth and I split. Then I got to writing some more with Bob Kulick. I started to work on the album and I went and did the Yngwie album, then came back, worked on the album some more and then we did some touring, then we came back and I wrapped it up. I’d say it’s been a work in progress over the course of the past twelve months. I’d say somewhere in the area of three to four months? There are pros and cons to getting a break in between recording, but I think I prefer to just get the album written, recorded and released you know? We wound up doing most of the recording out in Los Angeles because that’s where all our contacts like management are located. It worked well I think, but in the future I’d like to record here in Ohio because I have all the equipment to record and make a record right here. I can also stay close to home and stuff. Sleaze Roxx: You have a lengthy list of guests on Play My Game. Did you have specific people in mind when writing certain tracks? How did the guests get involved in the recording? Tim ‘Ripper’ Owens: There were certain people that I wanted involved, there was no doubt that I wanted Rudy Sarzo, Simon Wright, Chris Caffery, John Comprix, and then we got Michael Wilton involved from there as well as David Ellefson. The list continued to grow, then Billy Sheehan got involved as did Steve Steven, and before you know it it took on a life of it’s own. We’d be like, “who do you think would be good on this tune?” We’d call them up and they’d be up for it. Sleaze Roxx: It’s interesting because as I scan the list Steve Stevens and Billy Sheehan are the least likely that I’d expect on a Tim Owens recording. Tim ‘Ripper’ Owens: Right, but I wanted to have people on the album that fit the particular tracks. I didn’t want the obvious; I didn’t want people on the album to please people other than myself. I wanted the players to come in and add a little something different you know? Steve would come in and wail and what he did to “Pick Yourself Up” is excellent and then Billy’s bass part on the song was perfect for him and I think that also was a great performance. You do whatever you need to do to make the songs better and have fun with it. My big thing is that I wanted to have fun making this record and have the music reflect that. Sleaze Roxx: You have Bob Kulick on board as producer. He has worked with Paul Stanley, Meatloaf, W.A.S.P. and others. What made you choose Bob rather than someone else or rather than self-produce the record? Tim ‘Ripper’ Owens: I’ve worked with Bob in the past, we hit it off and we’ve had a pretty good relationship. I think he did a great job in getting the best performances he could on Play My Game. I’m very happy with the end result. There are pros and cons to producing yourself. I think I’d like to, but then again would I have an unbiased prospective? That’s hard you know? Sleaze Roxx: Play My Game is the official first solo outing, even though you released Beyond Fear a couple of years ago. What sets this album apart from the Beyond Fear album? Tim ‘Ripper’ Owens: Beyond Fear is a band situation, it was a little different than stuff I have done in the past. The solo album is what I’m really about right now and it is a true representation about what Tim ‘Ripper’ Owens wants to do as a solo artist. 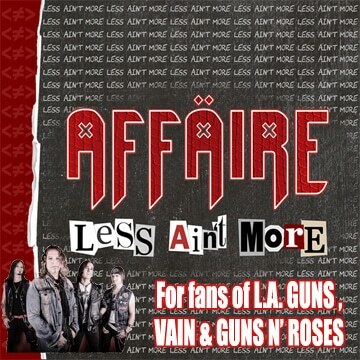 Sleaze Roxx: What are the plans to promote this album? Tim ‘Ripper’ Owens: Well you’d like to have the support happening prior to the release but here we are doing it after the fact. I don’t know, but I’m glad to be able to get the word out there about the album because I’m very proud of what I accomplished with Play My Game. I’d like to do some live appearances to promote the album but nothing is set in stone yet. I don’t know if and when it will happen at this time. Sleaze Roxx: I have to add that I absolutely love your performance on the Yngwie Malmsteen record Perpetual Flame. Before that record you did a cover of “Mr. Crowley” with Yngwie on an Ozzy Osbourne tribute album. How did you become involved with Malmsteen? 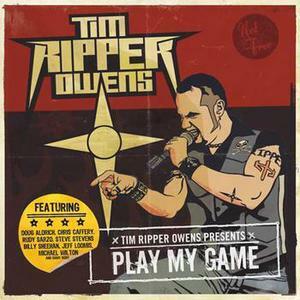 Tim ‘Ripper’ Owens: Thanks. I like my performance on the record, I like how it turned out. I got a call from Yngwie, he was a fan of my work and he needed a vocalist that was very different than those that he had had in the past. I was like, “sure let’s give this a try and see if it works.” We went for it and we liked what we heard and that’s what you hear on Perpetual Flame. Sleaze Roxx: Are you still with Yngwie? Will there be more touring and recording in the near future? Tim ‘Ripper’ Owens: I don’t know for sure right now. I know there were some places in the United States that we missed; we also didn’t get a chance to play Mexico or Canada which would have been great. I don’t know yet if there will be other shows planned for later this year or if Yngwie plans to get another album started. We’ll have to wait and see. 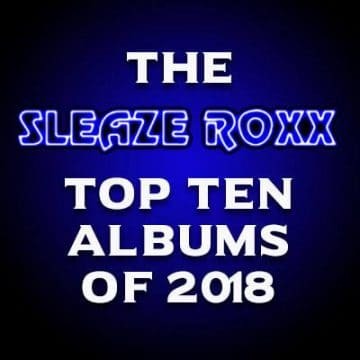 Sleaze Roxx: Do you hope to contribute more to the next album? Tim ‘Ripper’ Owens: I really would love to, but I’m prepared to be available to come in and sing on the next album. I understand that. Yngwie doesn’t have an issue with me doing solo stuff because he knows that I need that outlet. Sleaze Roxx: How have you taken to the role of ‘supporting artist’ in the bands that you been involved with? Would you prefer to be the leader of a band, like with Beyond Fear or as a solo artist? Tim ‘Ripper’ Owens: I’ll admit I like having creative control in what makes it on my albums. I like the role I have in Beyond Fear and also as a solo artist. I am perfectly comfortable in my role with Yngwie Malmsteen’s band, that’s why it’s called Yngwie Malmsteen’s Rising Force. It’s his band and a solo band. I hit the stage, I sing for 90 minutes, then leave and that’s the gig. Sleaze Roxx: Jon Schaffer stated that you had lost focus and were more focused on your solo career than on Iced Earth. How accurate was that statement? 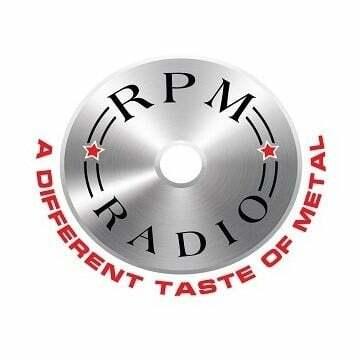 Tim ‘Ripper’ Owens: (pause) When I joined Iced Earth all I asked was to be given an opportunity to contribute. Though it was Jon’s baby, it was presented in a band situation. I accepted. In the four years that there were songs and music being written I was presented with only two pieces of music to contribute to. I grew frustrated that I wasn’t granted the opportunity to write. It wasn’t about Jon using my material, because if it didn’t work it didn’t work and I was prepared for that. When Jon talks about losing focus, he’s right. I grew frustrated and lost focus in what he was doing with Iced Earth. I didn’t know what he was writing; I wasn’t interested in the storyline for Something Wicked. I’m not a huge sci-fi guy to begin with, so when I was asked to go to comic conventions to promote the album I was out of place. As time passed I was writing songs for use elsewhere and that could be looked as losing focus. Sleaze Roxx: How do you feel about the albums that you recorded with Iced Earth? Tim ‘Ripper’ Owens: I think The Glorious Burden turned out great, I’m really proud of that album. I like my vocals on that album. Sleaze Roxx: How are things between you and Jon these days? 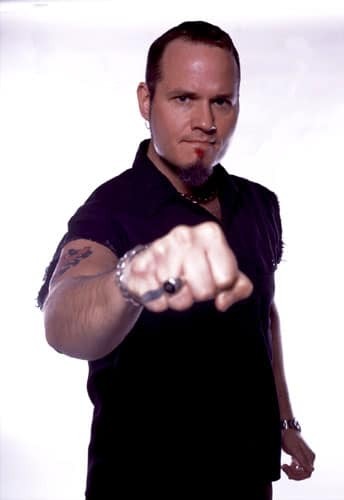 Tim ‘Ripper’ Owens: You know, I haven’t spoken to Jon in a while actually. When he let me go it was via email, so it wasn’t over the phone or face to face. The last time I spoke to him was well before that email. I think it’s probably best that we haven’t talked, you know? Sleaze Roxx: What’s been the top three moments of your career so far? Tim ‘Ripper’ Owens: Good question. I would say the first was traveling to Germany to record the Winter’s Bane album. That was an experience, I was young and I was in a place that I had never been. The second I would have to say was auditioning and getting the job in Judas Priest. Recording and making music with a band that I had been a big fan of and then getting nominated for a Grammy for my work with them was great. Third I would have to say that the opportunity to write, record and release solo material like Beyond Fear and Play My Game. Sleaze Roxx: What’s this about you singing in Richard Christy’s band that just singed with Metal Blade? Tim ‘Ripper’ Owens: Yeah the band is called Charred Walls Of The Damned. It’s Richard’s project, he wrote all the songs and placed some calls to friends to see if they were interested. He offered me the chance to sing on it and I took him up on the offer. Sounds like we’ll get recording sometime late in the summer of fall, this should be interesting. Sleaze Roxx: Before I let you go I have to add that I picked up a copy of the Roadrunner United DVD and I have seen your performances over and over. I’m still in awe of your ability, range and power. Tim ‘Ripper’ Owens: Thanks man, that night was such a blast. It was an honor to be asked to sing and share the stage with friends; that was magical. 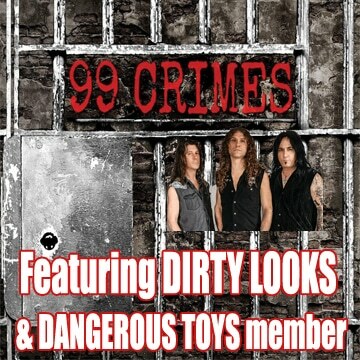 Sleaze Roxx: Thanks for taking the time to answer some questions, best of luck with the album. Tim ‘Ripper’ Owens: Thank you, I appreciate the support.